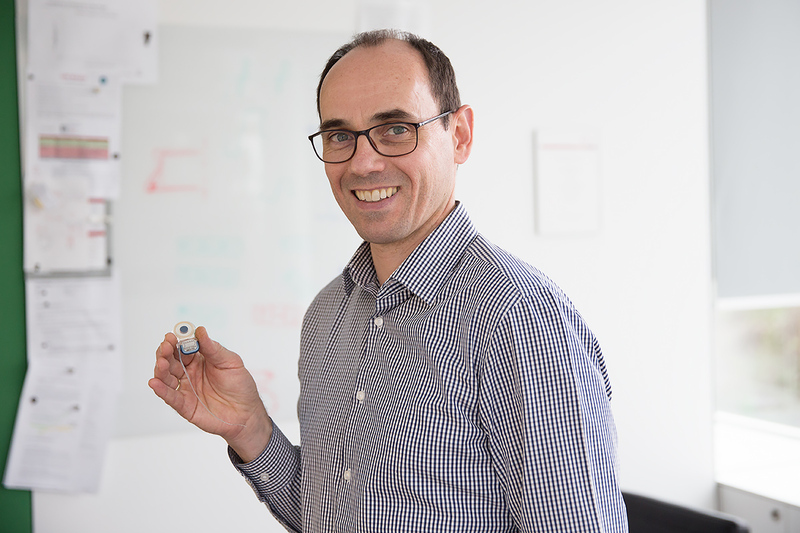 Here at the MED-EL Blog we’ve sat down with the inventor of the SYNCHRONY Cochlear Implant’s rotatable magnet, Martin Zimmerling. SYNCHRONY’s magnet design has revolutionized cochlear implants because, for the first time ever, a cochlear implant can now undergo powerful 3.0 Tesla MRI scans without magnet removal. MED-EL Blog: Hi Martin, thanks for sharing some of your time with us. We know you’re a busy guy so let’s dive right in. Could you introduce yourself, say a few things about your background and education? Martin Zimmerling: I was born in Innsbruck, Austria, and grew up just one kilometer away from where the MED-EL headquarters now are. I studied electronics at a technical school, and then went on to study physics at the University of Innsbruck. There, I did my diploma work on experimental plasma physics and later may Ph.D. studies brought me into the field of cochlear implants. MB: What got you interested in developing cochlear implants? MZ: I learned about cochlear implants during a university lecture, and found them extremely fascinating from the very beginning. What I liked so much is that such a device can bring back hearing to people who otherwise could not hear. It is a multi-disciplinary field, with many exciting questions to solve, and at the end is a product with an extremely high value for those who need it. MB: What have been some of your most memorable inventions at MED-EL? 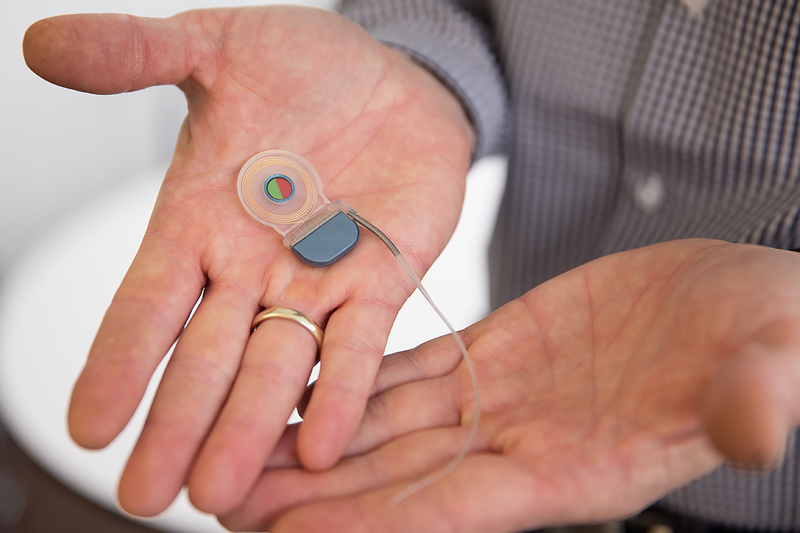 MZ: Over the years there have been some, and a few of them have been implemented in our hearing implant systems. However the number of inventions or ideas is not relevant: what is important are those ideas which offer a real benefit for the user. Often it is not one big invention but rather those little ideas which bring us forward and eventually make hearing with a cochlear implant so much easier and more enjoyable. MB: What was your inspiration for the SYNCHRONY’s rotatable magnet? MZ: When I was thinking of the guidelines for safe MRI scanning, it became clear to me that a cochlear implant’s magnet is in the worst orientation in terms of the MRI’s forces acting on the magnet. It was soon clear that the ideal magnet would be a sphere that is free to rotate within its housing. MB: How long did you and your team work on the design before it was perfect? MZ: The idea of a spherical magnet is about 10 years old. It seemed to be the perfect solution so we calculated the best magnet size and built samples. But then when we showed some preliminary designs to surgeons and asked for their advice, they basically said that they liked the idea of a rotatable magnet but found the spherical design too large. It would require extra work during the surgery and would not be good for young children. So, we decided that a spherical magnet would be a no-go. Then a few months later, after talking with some of my colleagues, all of a sudden it became clear to me how to solve the problem. We would use the idea of a spherical magnet and just reduce it by one dimension: a rotatable magnet that’s shaped like a disc. Of course, without my colleagues’ attempts and our discussions about possible MRI-safe magnets I would not have had the idea as is now found in the SYNCHRONY Cochlear Implant. MB: How is this design different from previous magnet designs in hearing implants? MZ: It is fundamentally different for two reasons. The first is that it is magnetized differently: previous magnets were magnetized with fields perpendicular to the skin; this magnet is magnetized with fields that are parallel to the skin. Also, the magnet in a conventional implant is fixed whereas the SYNCHRONY’s magnet can rotate within its housing. MB: Why have you spent so much time on something as seemingly simple as a magnet? MZ: When developing a part of an implant system, even if it is only the magnet, we need to consider all the implications that change can have. Changing the magnet can also influence the sound signal transfer between the coil and the implant. The new design must be safe in the long-term and robust in all possible situations. The design change must not affect the performance or safety of the implant. This needs a lot of thinking and testing. A lot of samples need to be made and they need to be tested. That is all very time-consuming. MB: Have you yourself ever had an MRI? MZ: Yes, I’ve already had two MRIs so I know what it’s like to have one. I’ve even volunteered for some tests in MRI studies: for example, I had a cochlear implant held against the outside of my head so I could feel by myself how different implant designs interacted with the MRI. And, subscribe to the MED-EL blog to get the latest updates!